Typically shortly after the release of a new MAJOR version of SOLIDWORKS (fall time frame), we get calls from umpteen frustrated customers wondering why they are NOW locked out of their SOLIDWORKS Customer Portal account, when the week prior they had access to it. AND, it’s reporting their SOLIDWORKS Subscription Service has expired as the reason for the LOCKOUT. Their subscription is paid up and active…so what’s going on?! Sound familiar? 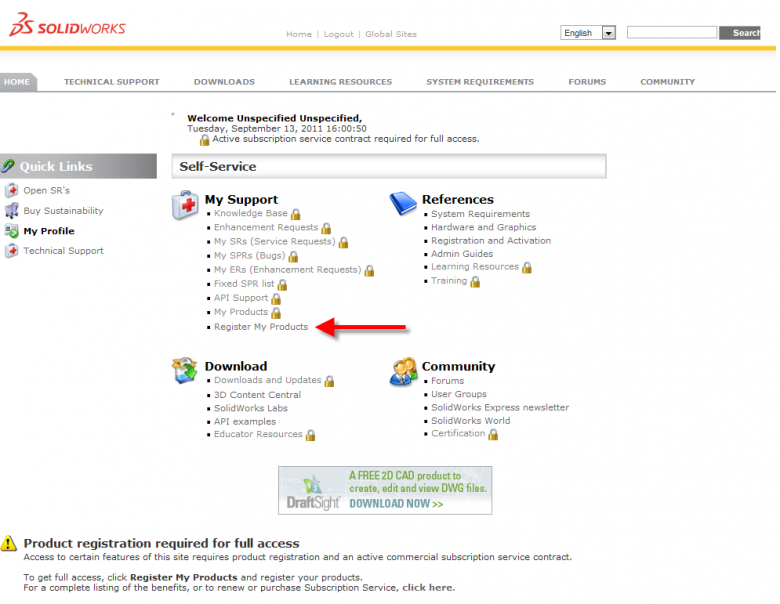 If you’ve been a SOLIDWORKS customer and a user of their Customer Portal account for more than a year or two, I bet it does. Well, I’m happy to report that 99% of the time, this problem has a very easy fix! And you’re able to take care of it yourself in a matter of a minute or two. And here’s the IMPORTANT, ABSOLUTE CRUCIAL piece of this puzzle. You MUST select the NEWEST VERSION from the list. 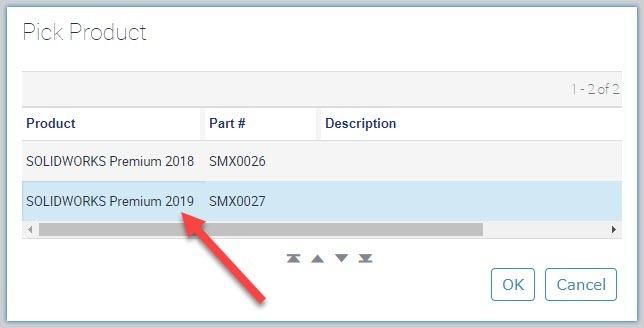 At the time of updating this article, it’s SOLIDWORKS 2019. Even if you’re using SOLIDWORKS 2017 or SOLIDWORKS 2018, or older, PICK THE NEWEST! The reason for this, your subscription status is only associated to the newest version in their database, so when the new version is populated and your account is still registered to a prior year version, it then sees your license, and therefore account, as being without subscription and you end up locked out…temporarily. Upon clicking OK after selecting the product, and then Next, your account should return to unlocked status as your subscription should now be reporting current and active.